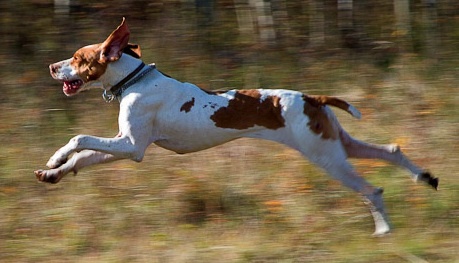 HiFive Kennels in Beulah, MI, turns out some great looking English Pointers. Check out this short video to see one of them. It’s a young male named Chet. Notice how dynamic he is and how easily he handles. Also notice that he’s not wearing an e-collar. Wide open country, a horse, some great birds dogs, and plenty of wild game — looks like heaven! Skydance Kennels in Dousman, WI, is well known for turning out rhigh quality English Setters. Check out this video to see some of the training that goes into their dogs. The Braque de l’Ariège has had its ups and downs, and the fact that it exists today is a testament to how much passion of handful of men and women have had for the breed. Even though the Braque de l’Ariège’s origins are disputed, what is agreed upon is that these bird dogs originated in southern France and that at least one of its ancestors was the Braques Français. Standards for the breed were established in 1905. 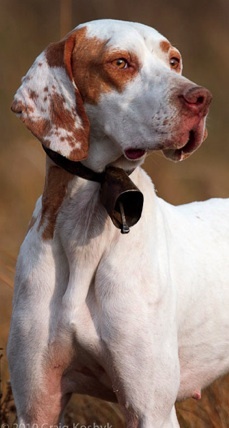 Over the next several decades the popularity of these large, easy hunting white and orange pointing dogs spread. Unfortunately, this enthusiasm petered out, and in 1960 the Braque de l’Ariège was considered dead. Fortunately, this isn’t the end of the story. To find out how the Braque de l’Ariège was saved, check out this post over at Craig Koshyk’s Pointing Dogs blog. Koshyk is the author of Pointing Dogs: Volume One, The Continentals. If you’re into birds dogs, it’s a bird you absolutely have to have. A new book from the author of Steady with Style…. 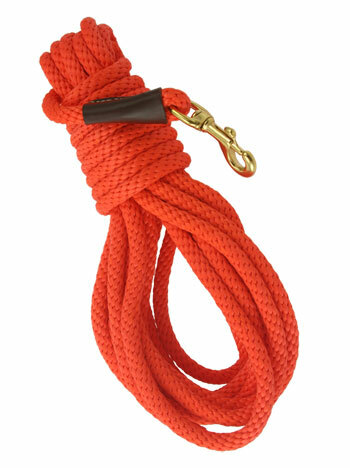 Steady with Style is one of my favorite bird-dog blogs. Informed and well written, I always come away from it a bit more informed (and usually a bit chagrined by how ignorant I am). That’s why I’m excited to check out the author’s new book. You can download a free PDF of it by clicking here: What’s the Point? A Collection of Bird Dog Writings by Martha Greenlee. The book is a collection of articles about dog training and field trialing, plus a piece called “Thoughts on Scent” and some helpful training tips. I’m sure I’ll enjoy reading it. 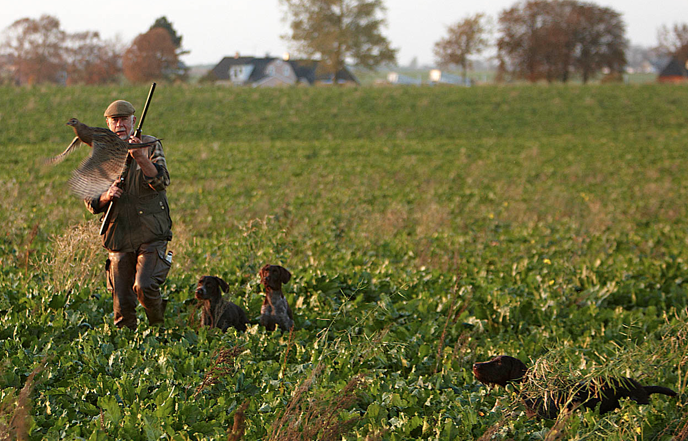 Bird hunters have always cross-bred dogs with the hopes of creating better four-legged companions. The Braque Français is a perfect example of this process. 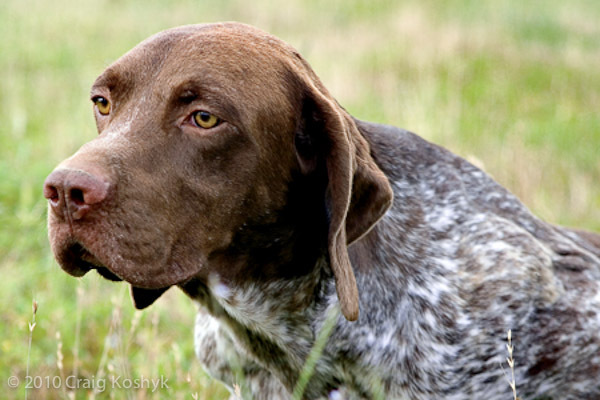 In Craig Koshyk’s superb book Pointing Dogs: Volume One, The Continentals, he explains how hunters modified this breed and developed two types of pointing dogs with a shared ancestry and the same first name. Back in the early days of bird dogs, the Navarre region of Franch/Spain was ground zero for some of the earliest Braque Français pointers. These dogs were big bodied and short haired, with large ears, loose skin, and a hound-like look overall. They hunted close, at a trot, and were known for their all-day stamina in the field. Of course some people thought these dogs could be improved. These hunters developed a smaller, quicker line of Braque Français, with a wider range and more athleticism. Soon fanciers had a dilemma: which dogs were the true Braque Français? To solve the problem, the Braque Français club established two sub categories: the Braque Français Gascony and the Braque Français Pyrenean. You can read more about these dogs here on Craig’s blog.